Canoeing and kayaking are two outdoor activities enjoyed by many outdoor enthusiasts but while there are many similarities between the two activities they can also be worlds apart and plenty of preparation is required before doing either. The equipment needed and what type paddling are the first considerations. Recreational purposes are what canoes are used for today. There are different categories of canoes, and most of these apply to kayaking also. The categories are whitewater, touring, and recreational. 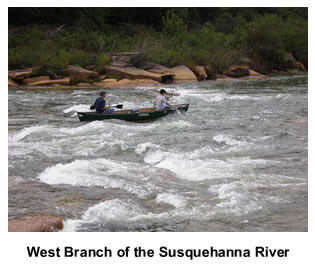 Whitewater paddling consists of maneuvering your canoe down sections of a river that has high concentrations of rapids. This type is not for the faint of heart. Although some canoes perform well in whitewater they do not move as freely through the rapids as a kayak does; however, the kayak can be more technical and steeper learning curve . Canoes are typically more stabile than kayaks to a certain point then the kayaks begin to have the stability advantage in more extreme whitewater. Touring can be done by way of canoeing or kayaking. This is done through calmer water which provides an opportunuty to enjoy the environment around you rather than focus on paddling though whitewater. 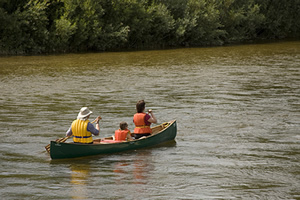 Recreational canoeing or kayaking ususlly occurs on lakes for slow moving rivers and is generally less dangerous that whitewater paddling. One of the great things about canoeing or kayaking is paddling to a campsite that can only be reached by water trail. Using a canoe to get you to your campsite provides you the means to transport more camping equipment while using a kayak to transport your camping gear is slightly more technical and has it’s limits on gear volume. When canoeing and kayaking a very important piece of equipment required is a life jacket. Helmets are only required for whitewater canoeing and kayaking. A wet suit is recommended to help keep you dry in cooler weather conditions. Packing food is obviously recommended for the extra energy but it can also turn your trip into an enjoyable picnic along the waters edge. While canoeing and kayaking are a lot of fun the most important thing to remember about paddling canoes and kayaks is to know your skill level and stay within it. Canoeing photo courtesy of Explore The Bruce and Flickr.